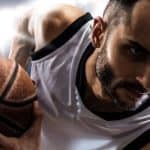 Under Armour as a brand has not been in the game long but they have certainly made a huge impact on the world of sports apparel and sports equipment. 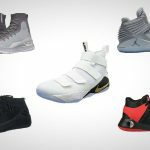 Beginning with compression gear that worked to wick sweat, they now have come so far as to have their own line of basketball shoes and basketballs. 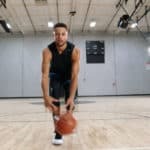 The two basketballs from Under Armour that we have tested as part of our reviews are the 495 and the 595, the latter of which we would like to talk about in further detail as part of this article. The Under Armour 595 is the top of the line as far as indoor/outdoor basketballs that are produced by Under Armour. This basketball is NFHS approved, which is a national high school association. This means that this basketball is approved for game play at the high school level. The biggest strength for this basketball has to be the feel. The 595 has a composite leather cover that feels more like a genuine leather cover, which gives it a really nice feel as it dribbles in your hand. From our testing we can tell you that this basketball just feels comfortable in your hands. The bounce of the Under Armour 595 basketball is above average as well. It is quite consistent and you will notice that this ball can be handled with ease. It does not get the maximum 5 score for bounce because there are a couple other basketballs we tested, in particular the Molten GM7 and Spalding Replica Game Ball, that have even better bounce performance. We also feel that the durability of the Under Armour 595 Basketball is a strength and we fully expect this ball to last several years given normal usage. While Under Armour strongly promotes the Gripskin technology with their basketballs, we must admit that the grip of the 595 does not stand out from the other basketballs we tested. This may be in part due to its traditional channel design which can making palming a basketball slightly more difficult. 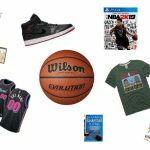 If grip is a high priority for you and the basketball of your choice, you might be better suited by looking in the direction of a Wilson Wave Basketball or the Baden Contender. This basketball is generally the second most expensive indoor/outdoor basketball option we tested, only the Molten GM7 is more expensive. The price of the Under Armour 595 is usually in the mid to the high $30 range. Because of the high price point coupled with the high performance rankings, this Under Armour basketball is an average value. For us at Best Outdoor Basketball the 595 is a great choice, however, we felt it was overshadowed by some of the basketballs that are available. 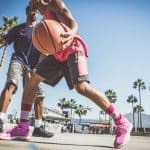 It can be summed up like this: the Under Armour 595 basketball does everything well, but it is not the best in any given category of basketball performance. It is impressive that Under Armour is coming out with basketballs as good as the 595 considering they have only been producing basketballs for a few years. That does not mean they cannot find ways to improve and it will be interesting to see if they make any enhancements in the coming years, especially in regard to grip. This basketball is a good selection and will not disappoint, however, make sure to also look into some other high ranking options such as the Molten GM7 and the Baden Contender when making your decision.